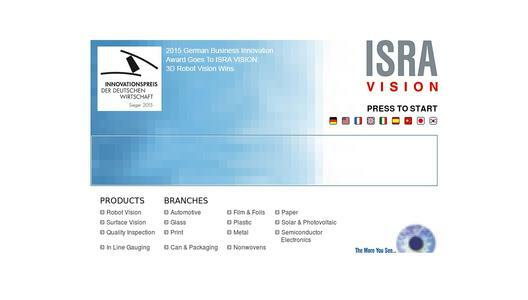 ISRA VISION AG (ISIN: DE 0005488100), one of the world's top companies for industrial image processing (Machine Vision) as well as globally leading in surface inspection of web materials and 3D machine vision applications, continued the strong development of the past financial year in the first quarter of 2016 / 2017 and again achieved profitable growth. In the first three months of 2016 / 2017, ISRA generated revenues of 28.5 million euros (Q1 15 / 16: 26.0 million euros) - a plus of 10 percent compared to the same period of the previous year. EBT - a key ratio for management of the Group - increased by 11 percent to 5.6 million euros (Q1 15 / 16: 5.0 million euros). This resulted in an increase of the EBT margin to revenues by one percentage point to 20 percent (Q1 15 / 16: 19 %); while reaching 18 percent to total output (Q1 15 / 16: 18 %). The measures taken to increase productivity and efficiency were systematically continued in the new financial year. Given the increase in the equity ratio by four percentage points to 64 percent (September 30, 2016: 60 %) and the available credit lines, ISRA has solid capital resources for future growth. Earnings per share after taxes (EPS) rise by 11 percent to 0.88 euros (Q1 15 / 16: 0.79 euros). The high profitability of the Company was again confirmed at the beginning of the 2016 / 2017 financial year. EBITDA (Earnings Before Interest, Taxes, Depreciation and Amortization) rises by 16 percent to 9.1 million euros compared to the same period of the previous year (Q1 15 / 16: 7.8 million euros). This results in an EBITDA margin improvement by two percentage points to 32 percent to revenues (Q1 15 / 16: 30 %) and by one percentage point to 29 percent to total output (Q1 15 / 16: 28 %). At 5.7 million euros, EBIT (Earnings Before Interest and Taxes) was 9 percent higher than the previous year's figure (Q1 15 / 16: 5.2 million euros). Thus, the EBIT margin reaches 20 percent to revenues (Q1 15 / 16: 20 %) and 18 percent to total output (Q1 15 / 16: 18 %). The balance sheet reflects the high order backlog of approx. 90 million euros gross (as of February 27, 2017; PY: 85 million euros gross). Trade receivables slightly decrease to 87.1 million euros (September 30, 2016: 88.5 million euros). This figure includes receivables from delivered and invoiced systems of 37.0 million euros (September 30, 2016: 38.7 million euros) and receivables according to the POC (Percentage of Completion) method amounting to 50.1 million euros (September 30, 2016: 49.9 million euros). Trade payables, which had increased to 12.4 million euros as of September 30, 2016, due to the strong fourth quarter of 2015 / 2016, were reduced to 6.7 million euros in the first quarter of the current financial year as planned, with a corresponding effect on operating cash flow which amounts to 2.0 million euros (Q1 15 / 16: 4.9 million euros). In addition, production optimization measures at the beginning of the first quarter led as a one-time effect to delays in delivery and thus to delayed stock reduction. Besides, Bank liabilities of 5.1 million euros (Q1 15 / 16: 7.5 million euros) were paid off and investments worth 3.3 million euros (Q1 15 / 16: 2.4 million euros) were made - of which 3.0 million euros (Q1 15 / 16: 2.4 million euros) for product innovations. For the full year, a positive cash flow on the similar level of 2015 / 2016 is planned. Global expansion to continuously develop further market potential is an important part of the company's strategy and a key driver of further growth. A decisive factor for ISRA's business success is the broad regional positioning, with over 25 locations worldwide. The positive development seen across the regions over the last financial year continued. In the first quarter of 2016 / 2017, the Asian markets again made a significant contribution to the overall result. Following intensified marketing and sales activities, the North and South America region is showing double-digit growth rates in order entries. In addition, the strengthening of the international team will remain in focus. In order to expand the market position in Asia and North America further, important management expansions are planned or have already been realized. After good order entries in the last financial year, revenues generated with customers from Europe continue to advance. At the new locations in Mexico and Iran, first projects have already started. For a further penetration of the South American markets, the company is also analyzing new expansion opportunities in neighboring countries next to its existing locations. The same applies for the Southeast Asian economic area. In both the Surface Vision and Industrial Automation segment, intensive contact with customers worldwide forms the basis for the positive development of the segments. This also held true in the first quarter of 2016 / 2017. The revenue increase in the Industrial Automation segment, whose customer base primarily includes international premium automotive manufacturers, continues the positive results of the past 2015 / 2016 financial year. In Q1, revenues rise significantly by 2.1 million euros to 7.1 million euros compared to the previous year (Q1 15 / 16: 5.0 million euros). EBIT increases by 35 percent to 1.5 million euros (Q1 15 / 16: 1.1 million euros), which equates to an EBIT margin of 20 percent to total output (Q1 15 / 16: 20 %). The new 3D technologies, which ISRA offers in the Industrial Automation segment with a comprehensive portfolio, will remain in focus. The company anticipates positive impulses from a strategic large-scale order, which is currently at an advanced stage of negotiation. At the same time, innovative solutions for flexible production automation lay the foundation for further growth, particularly by further addressing local car manufacturers in Asia and North America. ISRA is currently introducing a product for car body paint inspection, which came back into focus again, with a new design-to-cost approach, and thus significantly optimized ROI for customers in the market, which is creating significant potential in paint shops and painting lines worldwide, both within the automotive industry and elsewhere. The Surface Vision segment started the 2016 / 2017 financial year with revenues of 21.3 million euros (Q1 15 / 16: 20.9 million euros), while EBIT rises to 4.2 million euros (Q1 15 / 16: 4.1 million euros). The EBIT margin totaled 17 percent of total output (Q1 15 / 16: 18 %). The double-digit increase rates in order entries of individual industries present a positive base for the full year, whereby an increase of order entry dynamics is expected in the further course of the financial year. The glass industry confirmed the substantial growth potential with increased customer interest in its expanded product portfolio for the inspection of display glass. Following the highly successful second half of the past financial year and a strong first quarter of 2016 / 2017, the solar market's dynamic has decreased - a development to which the company is responding with an intensification of sales activities and a new generation of cost optimized products. The revenues in the plastic industry show the first impulses of the INDUSTRIE 4.0 activities. The introduction of the new "Touch & Inspect" system architecture for networked, "smart" quality surface inspection achieved initial orders by manufacturers of films; they obtain the opportunity to flexibly equip their production processes with new technologies that offer a high return on investment. 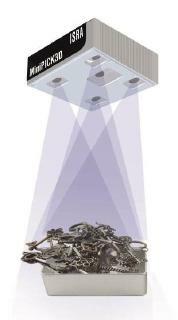 In the metal industry, ISRA is, besides the strengthening of the management, continuing to drive forward its intensive marketing and sales measures, which are being supplemented by innovations for 3D inspection. The paper industry registered an increase in incoming orders in the first quarter, as a result of optimization of the cost structure. Additional revenue impulses are expected from the print market due to intensified targeting of international printing manufacturers and the newly extended product range. In the niche market of special (security) paper, the portfolio for applications in high-security printing is currently being expanded with the new smart camera architectures. The expansion of the still-young semiconductor business is advancing continuously, especially in the area of wafer inspection. After important initial strategic orders in Europe, the next steps will be directed towards Asia. The service business also remains in focus for the current financial year. With the expansion of the portfolio, a strengthening of the global teams and a new strategic orientation that will especially emphasize regional activities, the company intends to increase revenues disproportionately in the medium term. As the company has successfully demonstrated several times in previous years, the integration of strategic acquisitions is an important driving force - besides the expansion of the core business - to achieve the planned growth. The acquisition activities are focusing on target companies that will sustainably advance ISRA's technology leadership, market position or expansion to new markets. Several targets from a range of industries are being examined at present. Subject to these examinations reaching a positive outcome, the plan is to complete one project in the current financial year. Based on the successful results of 2015 / 2016 and the current stable order backlog of approx. 90 million euros gross (as of February 27, 2017; PY: 85 million euros gross), ISRA has made a positive start into the new 2016 / 2017 year. The business expectations of the individual industries and regions show a multi-variant picture. The company is countering variations in the regions and the industries, especially by intensifying the marketing measures and sales activities. In addition to organic - particularly innovation-driven - and acquisition- based growth, the management sees significant potential in the area of INDUSTRIE 4.0 through the further development of intelligent, frugal and cost-optimized sensors. Together with the "EPROMI" software tool for production management, ISRA possesses broad strategic positioning for future revenue potential. Provided that economic framework conditions do not significantly change, the Company plans with further profitable organic growth of approx. 10 percent in the similar level of the last years. An acquisition would respectively increase the growth. Management will continue to focus on the optimization of operating productivity and the improvement of cash flow and working capital and to increase the margins, at least to keep the high level. Against this background, ISRA is continuously preparing to reach the planned revenue dimension of over 150 million euros in the medium-term.